The deadline for proposals for both the IFLAPARL and Government Libraries Congress sessions have been extended to 29 March. 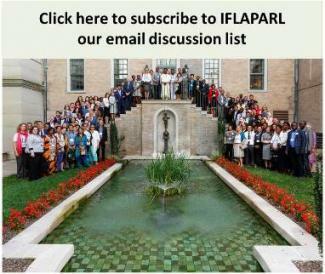 Registration for the IFLAPARL pre-conference on the 22nd - 23rd August 2019 at the Hellenic Parliament, Athens, is now open. The deadline for the Call for Papers for our WLIC session has been extended to 29th March 2019. Initial outline for the Section's annual pre-conference is available on the website.